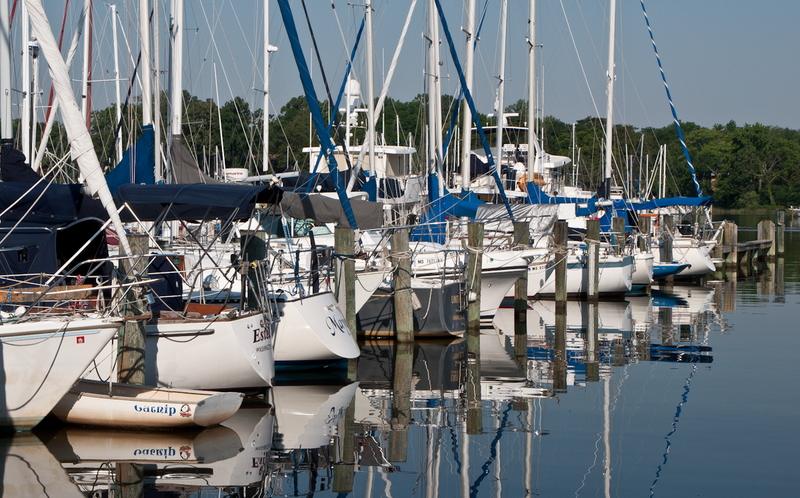 Come Sail Away ~ Learn, Live, and Explore! This was another weekend of firsts....my first time skippering a sailboat! 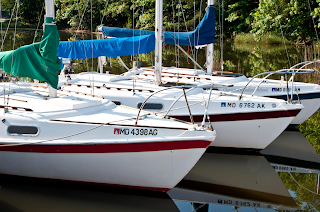 A few months ago, I purchased a 1-day Intro to Sailing course from Chesapeake Sailing School through Groupon. 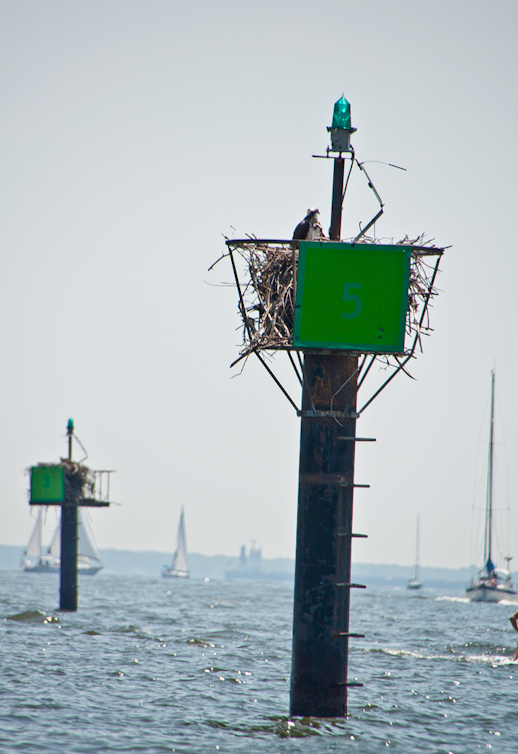 In just a short amount of time, I came to understand that while sailing may become instinctual after awhile, there is a lot to learn at first! 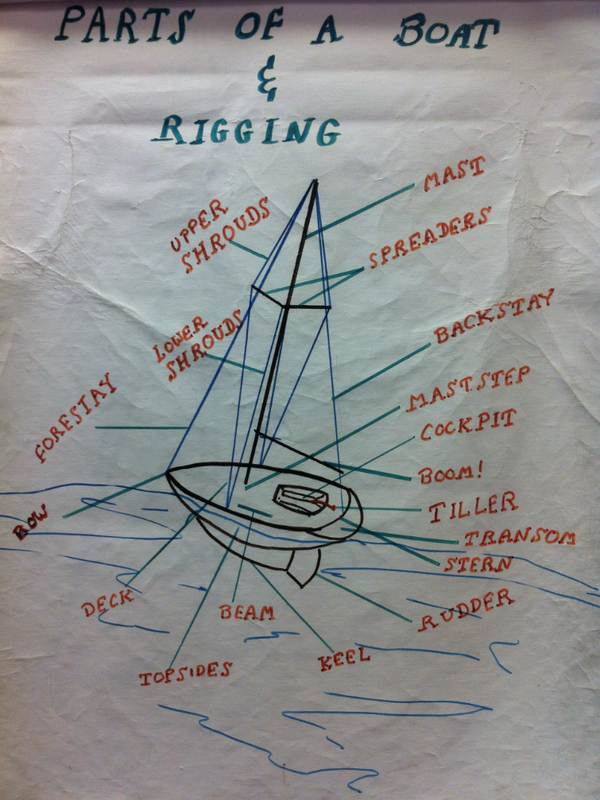 During a brief classroom time, we learned all of the parts of the boat. I knew the basics, like bow/stern and port/starboard, but all of the rigging and names for sides and corners of the sail were new. Then we had to learn the terminology for the points of sail, or the boat's sailing direction in relation to the wind, and how to read the wind. The names of everything seemed so unnatural, but our instructor just told us to blame the British. For our water time, we took out a sturdy 22 foot sailboat (a Tanzer 22 to be precise). I was amazed at how much hands on instruction we were given. We were responsible for attaching the main sail to the mast and the jib to the forestay. 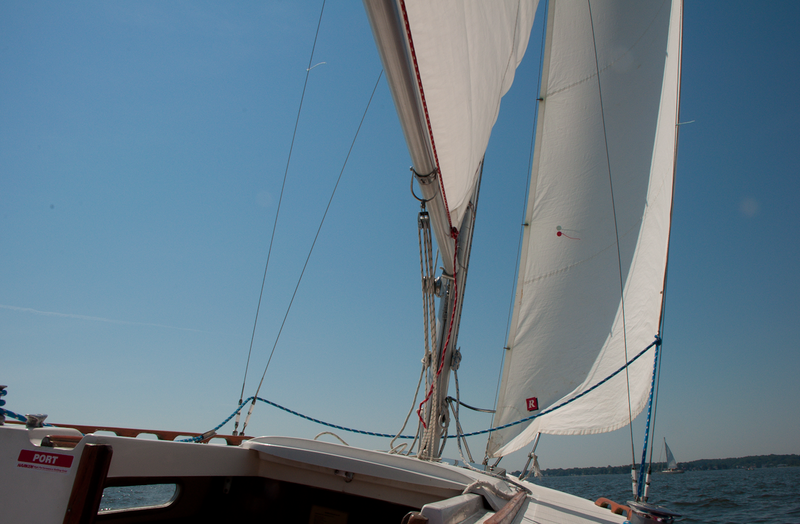 Once out on the water, I actually had to get up on top and raise both of the sails! Then while trying to capture the wind and perform a tack, we took turns manning the jibsheets - letting one be "lazy" and winching the other one down - and steering with the tiller. Unfortunately, we did not luck out in the wind department. A lot of the time it barely felt like we were moving, yet you look a quarter mile away and see boats with full sails. Our instructor explained that it's just how it is sometimes, and that sometimes the breeze can bounce and leave pockets of dull air. 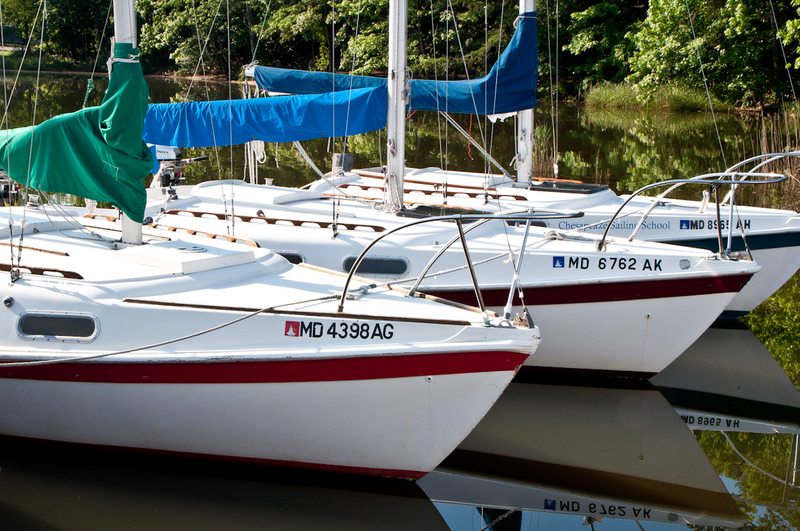 So what's next!....I think I'm going to pursue getting my ASA Sailing 101 Certification so that I can be allowed to take out a basic two-sail boat on my own. Like a SCUBA certification, I understand that ASA is recognized internationally, so I could rent a boat and sail around a Caribbean island. How fun would that be? ?